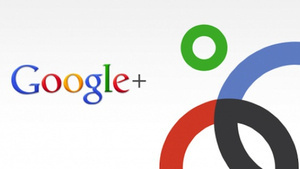 40 Million Users on Google+, But How Many Use It? Google has announced its earnings for the most recent quarter, and surprise!! they made lots and lots and lots of money, mostly off of search revenue. Which is the same story that's been written about Google earnings for the last ten years. But! While the company didn't break out any specific numbers on Android usage, they did confirm that Google+ has over 40 million users. "Users," here, being loosely defined, since Google+ is a relative ghost town of privately shared links about how Google+ is a ghost town. And given how heavily Google+ was promoted in the early days—across however many millions and millions of Gmail accounts is it wrong to be a little surprised that there aren't even more people who signed up? Google will be hosting a call to discuss earnings (a not at all shabby $9.72 billion revenue, $2.73 billion net income) at 4:30EST, which will hopefully include some goodies on Android activations, Ice Cream Sandwich, and the Motorola acquisition.